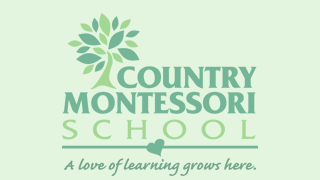 All mothers are invited to attend a special night at Country Montessori. This is a special time for mothers to come to school with their children. The children are excited to be able to show their mothers the work they do daily in class. Ladybugs will meet on Monday, March 12th 6:00-7:00 p.m.
Bumblebees will meet on Tuesday, March 13th 6:00-7:00 p.m.
Dragonflies will meet on Wednesday, March 14th 6:00-7:00 p.m.
We are looking forward to seeing all our mothers in attendance for this occasion. Please refer to our Mother’s Night Procedures to guide you in this important event. The purpose of Mother’s Night is twofold: to give your child an opportunity to share the school experience with you and give you the opportunity to observe your child at work in a Montessori classroom. We try to make it as much like a normal work time as possible. We welcome substitute mothers such as fathers, Grandmothers or any one person chosen for the evening. Let this be a special night for you and your child. No siblings please. If you have questions please contact your teachers.